National Research Development Corporation (NRDC) was established in 1953 by the Government of India, with the primary objective to promote, develop and commercialise the technologies / know-how / inventions / patents / processes emanating from various national R&D institutions / Universities and is presently working under the administrative control of the Dept. of Scientific & Industrial Research, Ministry of Science & Technology. During the past six decade of its existence and in pursuance of its corporate goals, NRDC has forged strong links with the scientific and industrial community in India and abroad and developed a wide network of research institutions, academia and industry and made formal arrangements with them for the commercialisation of know-how developed in their laboratories and is now recognised as a large repository of wide range of technologies spread over almost all areas of industries, viz. Agriculture and Agro-processing, Chemicals including Pesticides, Drugs and Pharmaceuticals, Bio Technology, Metallurgy, Electronics and Instrumentation, Building Materials, Mechanical, Electrical and Electronics etc. It has licensed the indigenous technology to more then 4800 entrepreneurs and helped to establish a large number of small and medium scale industries. 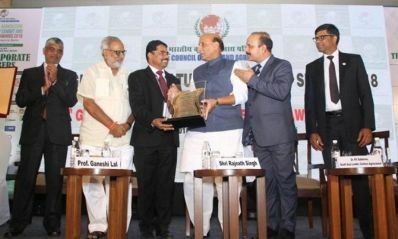 Besides being the torch bearer in the field of technology transfer, NRDC also undertakes number of activities under its structured promotional programme for encouragement and advancement of research, promotion of inventions and innovations such as meritorious inventions awards, Techno-Commercial support, Technical and financial assistance for IPR Protection, Value addition services and support for further development of technologies and much more. NRDC has also successfully exported technologies and services to both developed as well as the developing countries. NRDC is recognised, particularly in the developing countries, as the source of reliable appropriate technology, machines and services, which are typically suitable for these countries.